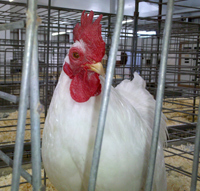 The Iowa Department of Agriculture says four suspected new cases of bird flu have turned up. Initial testing shows probable cases of the avian influenza at three facilities in Buena Vista County and one in Kossuth County. The probable cases in Buena Vista County include one commercial laying operation with 63,000, and two on turkey farms. One of the farms has 50,000 turkeys, while a number was not released for the other. It’s the first case for Kossuth County, and involves 19,000 birds on a breeder farm. All of the birds at the facilities will be destroyed once the disease has been confirmed. The state just confirmed 5 new cases that had been probable and along with the first 3 confirmed cases, it would make 12 cases overall. There were around 9.7 million birds involved in the first eight cases.